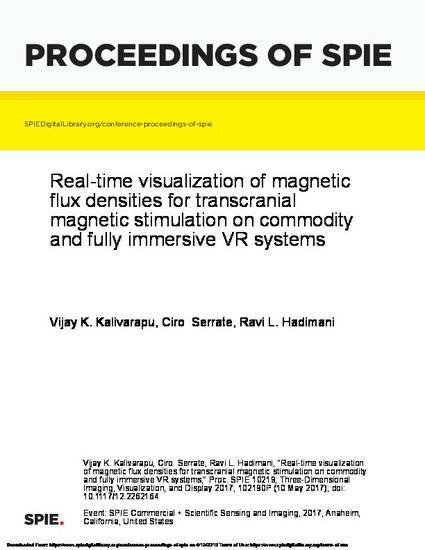 This is a proceeding published as Vijay K. Kalivarapu, Ciro Serrate, Ravi L. Hadimani, "Real-time visualization of magnetic flux densities for transcranial magnetic stimulation on commodity and fully immersive VR systems," Proc. SPIE 10219, Three-Dimensional Imaging, Visualization, and Display 2017, 102190P (10 May 2017); doi: 10.1117/12.2262164. Posted with permission.